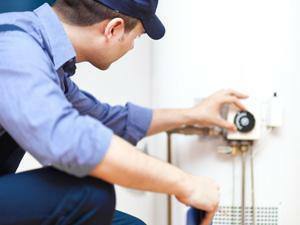 There are some good reasons to hire a plumber for a water heater installation. It’s not against the law to install your own water heater, providing that you own the home you’re installing it in. But whether gas or electric, you should get a plumbing permit so that when the job is finished, you’ll get a proper inspection insuring that the work has been done correctly. How many times in the past have you decided to do your own plumbing work to save money, only to discover that you spent more time and money doing it yourself than you would have if you had hired Town Plumbers? That’s not uncommon, in fact – it’s highly likely. Even more so if you’re doing a more complicated plumbing repair like a water heater replacement. Let me give some examples of why homeowners and handymen should leave this type of work to professionals. Most “for hire” handymen, and this also applies to homeowners, are unaware of their city and state code requirements. This can lead to significant damage or even death. Any negligent damage to person or property that could have been avoided if the codes had been followed, is likely in legal trouble. Many cities require water heater catch pans. Water heaters that are located in an attic can cause water damage in every ceiling and floor beneath the water heater if it starts leaking. Not that a catch-pan will support a complete tank failure, but in most cases the pan will catch a slow leak allowing it to become detectable, and save a lot of expense and trouble. If located in the homes garage, damage to the wall studs and drywall as well as stored items that could potentially be costly. The pressure relief valve needs to be properly piped outdoors. This is an area most will take shortcuts in, often leaving the valve on the water heater unaddressed causing a safety violation. An electric water heater could easily short out if any wiring is exposed to water or metal, causing more damage to the water heater. If a pressure relief valve is not plumbed to the outside of the house, water damage can and will likely result in time. If your gas water heater is incorrectly vented outdoors, hot gases will present a fire danger within the walls. If the vent is not properly routed through the roof, there can also be a carbon monoxide concern. In some municipalities tanks need to be 18″ high from a garage floor. It’s possible that those safety measures were initially taken when the water heater was first installed, and that it can be replaced without some of those issues. City codes change over time, however, and often the newer, safer methods must be adopted. It just makes good sense to have it all checked out by a professional plumber when a water heater replacement is necessary. Any number of serious safety changes could have been instituted since the original water heater was installed. You want to do things as safely as possible while preserving the value of your home or place of business. It isn’t usually negligence that causes these plumbing failures, but more often than not, it’s simply time and age that has created the need for your water heater replacement. Consulting with a Town Plumber helps ensure that a homeowner is getting knowledgeable service with leading plumbing repair service. Think of Town Plumbers when you need plumbing work done – even if it’s just a replacement water heater installation.